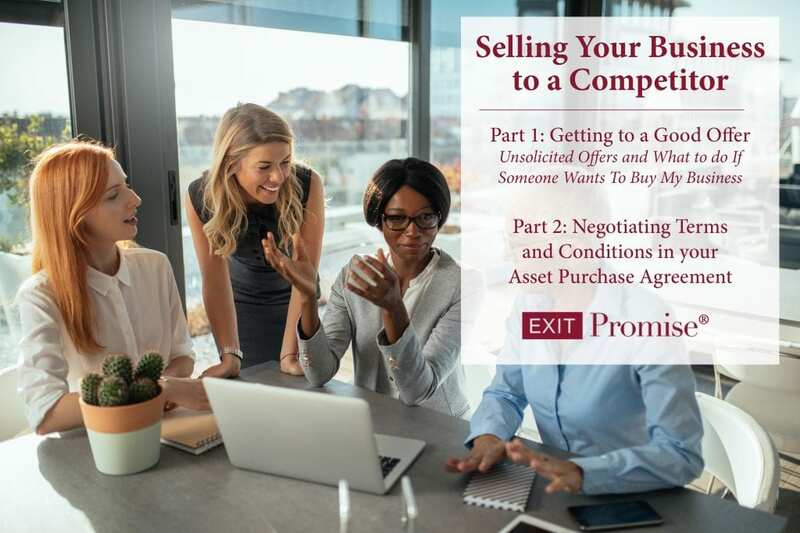 When a business is about to be sold, the parties to the sale may find it beneficial to establish an escrow agent to handle the transfer of certain assets and cash between the buyer and seller. What Does an Escrow Agent Do When a Business is Transferred or Sold? An escrow agent acts as a third party between the buyer and seller to ensure that all conditions of the sales agreement are met. The escrow agent can hold the buyer’s earnest money deposit or down payment, making it easier for the buyer to reclaim that money if the sale is cancelled. An escrow agent also performs Uniform Commercial Code (UCC) searches to discover any liens against the business being sold. The agent is also responsible for publishing a Notice to Creditors of Bulk Sale in asset transactions, which allows creditors to file claims for any debts they are owed by the seller. To protect the seller, the escrow agent often requires the buyer to deposit funds several days in advance of the closing date. This ensures the buyer does in fact have the cash, and the seller receives the amount agreed upon in the contract. How Does the Escrow Agent Know When to Release the Assets and/or Funds to the Appropriate Party? The escrow agent will not release assets or funds until both the buyer and seller have fulfilled all of their obligations. This includes the terms outlined in the purchase agreement, due diligence, and the transfer of funds. 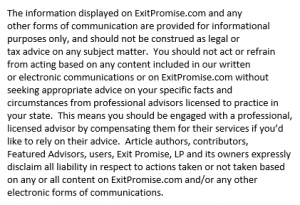 When the principals have met all the terms and requirements of the deal, the agent will “close” the escrow and distribute all funds to the appropriate parties. Who Pays for the Services Provided by an Escrow Agent? Buyers and sellers can negotiate who pays the escrow fees when creating a purchase agreement. Often, escrow fees are split between the buyer and the seller. How Much Does it Cost to Hire an Escrow Agent? The amount of the fee depends on the size of the business deal, though there is typically a minimum for very small transactions. Some escrow companies calculate their fees by charging a set base rate per thousand dollars of the final sale price. There also may be processing fees, wire transfer fees, and legal review fees associated with hiring an escrow agent. If you are researching multiple escrow companies, ask about their agents’ experience and fee structure before entering into any agreements. My tenant is selling his corporation. He wants me to sign an estoppel and assignment without disclosing the buyers financial condition. I want credit reports on the members of LLC purchasing the business before signing an estoppel and assignment. At present the Seller believes no disclosure is needed. You and your tenant signed a lease agreement, which should include language addressing how the sale of your tenant’s business would be handled. Whether the tenant may assign the lease agreement, and the terms necessary for you to agree to such an assignment should be clear. Hopefully you will be able to reach a mutually agreed upon arrangement with the seller and buyer! I was in the process of buying a small business, so i deposited 2000 on a escrow acct. to get access to the financial doc. After about 15 days, the number of accounts was 68 not 69 as offered, and the location represented additional expenses, so i decided not to continue with the offer. The Broker wants me to sign a release escrow funds on his benefit, this means i will be loosing my 2000. What can i do to get my money back?. I am a business broker and Featured Advisor with Exit Promise and may be able to help you with this issue. Normally, there is a written agreement that defines who gets the escrow money if the buyer backs out of the sale. Did you complete an escrow agreement or other contract with your broker that covers who gets the escrow money if you back out of the sale? Why does your broker think he is entitled to your escrow money? If a broker thinks they should receive some or all of the escrow money, it is usually because they think they should receive compensation for time invested in assisting their client in a possible business acquisition. If you feel you should get back your $2,000 and your broker insists they should get this money, you may need to seek the advice of an attorney if you can’t resolve this with your broker. Let me know if I can be of further assistance. Thank you Greg but getting an attorney will cost me more than the 2000 usd that i have in the escrow acct. I will try to negotiate some deal with him, if it doesnt work out i will let you know. This June I found a business in Fairfax VA and agreed on all terms but after 2 months of waiting the deal didn’t go through and my agent canceled the deal. On the agreement day I wrote $13k Check to the name of sellers Agent’s Capital Business Brokers, however after canceling this deal the Agent does not returning my money back and says that he has spent the money and don’t have it. He owns the firm but dose not have any license. In such case, who is responsible of paying for returning my money? Has been two weeks that I’m dealing with this situation. Can a seller Agent cash the check? In order to answer your questions, one would need to first review the agreement between you and the seller (or seller’s agent), and any other relevant documentation. When I started the process of selling my business, I spoke to my Attorney about who I needed to hire and he never mentioned the need for an Escrow Agent. Now he’s saying the Attorney for the buyer can be the escrow agent. This makes me feel very uneasy. How can the other side’s Attorney be unbiased when it’s time to release the funds owed to me? Depending on the amount to be escrowed, you should consider an independent escrow agent (i.e., a bank). Many attorneys will not even get into a situation like the one that you mentioned, but I have seen instances where the Buyer’s attorney serves in this role (and attorneys must be compliant with high ethical standards). If he does, then you should require that he enter into an escrow agreement that binds him to fair and neutral terms. Good luck! Thomas, as a business broker, I have represented the seller in transactions where the buyer’s attorney is the escrow agent. This has always been with the approval of the seller’s attorney. The seller’s attorney in each case had strong business sales experience and they reviewed the escrow agreement and confirmed it was neutral and the seller was not exposed to any risk. In cases where both sides agreed to a neutral escrow agent, this was either a closing attorney or a title company. I hope this helps. What percentage of the sale is usually held in escrow? How often does the seller have to go to court to get the escrow money? And should the broker get paid on the escrow money before the seller get it? My experience tells me Escrow, as a percentage of the sale purchase price, varies from as little as 5% to as much as 30%. The size of the deal, type of transaction (assets vs. stock sale), and other risks associated with the transaction impact the escrow amount. Escrow amount, type and terms are negotiable! So, there really isn’t a standard escrow percentage. The purpose for establishing escrow money and a written escrow agreement when selling a business is to prevent the buyer and seller from going to court over post-closing discrepancies and/or disputes. A well-written, thoughtful escrow agreement can prevent future litigation for the parties involved in the business sale. I do not know how often sellers need to go to court over escrow matters. It is my opinion a business broker should only receive his or her fee when (and only when) the seller has received his or her payments from the buyer. This aligns the broker and the seller and is fair. To accomplish this arrangement, the broker agreement should include language that’s clear about the timing of the broker’s fee. And this means in most cases, the broker will be receiving multiple payments, not a single payment. I sold my business one year sgo. The escrow still is in question. No lawsuit. How do I get my money? Congrats on the sale of your business! Many business owners never achieve that accomplishment! You’ve used the phrase “escrow still in question”. Does that mean the seller is questioning your ability to receive the money held in escrow? If so, addressing those reasons should be your first priority. If not, then your escrow agreement should spell out exactly when your money should be released to you and you should contact your escrow agent for the payment. It’s great you there is no lawsuit in the picture. Keep your communications open and seek the help of your escrow agent to move the matter along. Good luck to you Butler! We (my business partner and I) are looking at purchasing a business the broker is telling us that he wants to open Escrow, he has mentioned numbers times that if we find something in the discovery process and change our minds we will get 100% of the money put into Escrow back, is this common, is he saying this and then will expect us to pay for half of the fees to open the Escrow? I believe you are asking about a down-payment held in escrow, which is part of the offer price, which may be refundable if you discover something during the due diligence period before the business is actually acquired. This is not the same as the escrow held by a third party after the acquisition is closed. Normally, the type of deposit made before an acquisition closes is handled by the seller’s Attorney and I don’t normally see a fee for this type of situation. Whereas an Escrow fee for post-closing money is common and the fees are typically shared by both parties. That said, sometimes only one party wants the Escrow and so the opposing party may choose to not agree to pay for the escrow fee.